In the end, it was decided to create the old Assen and then to try to bring back the old US track. There already are good Mugello and Jerez version that it would be difficult to improve upon. Also it would probably be disrespectful to ignore what the community already did. We are keeping Victoria (Phillip Island) aren't we? Yep, great news Pib.... Looking forward to this! Any rough idea on how long before we see a beta version? Or even an initial alpha version would be great too! Sorry but so bored of Victoria and it will not attract people to buy a licence if they have watched development and seen you have no other option, many people are to shy and respectful to say so, but the reality is you need to do something new. There are some of the best modders here, the most willing and passionate riders you could ever meet, there are people that live for GB Bikes because it gives them a feeling they are riding. Basically if all you offer over years is one track, those watching will think thats all you can do. I think you need to show you can do more than that. If I remeber right at one time you had Monteray and Lme rock > I think it was beta 7 THAT made me buy a licence and Im a fusssy guy!!! 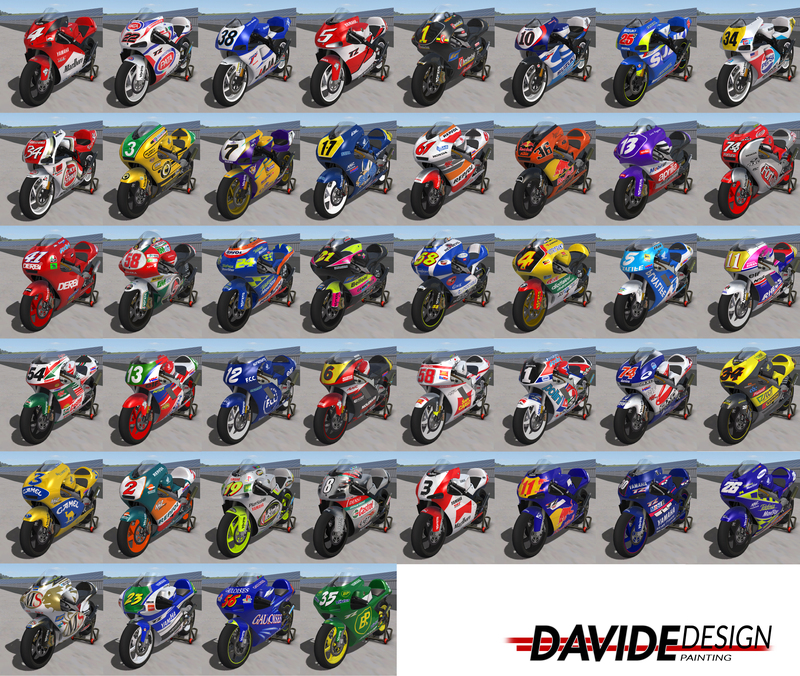 Just a few ideas..................Without PIBOSO I would have never started back on an idea for a bike controller for PC bike games, so GPBikes is personal to me, Just trying to say its the ONLY sim but needs the original content amount. Thank you for your inceadable talent. you persistence and determination, you are a person l have the upmost respect for.............You GIVE people a chance to do something they cant normaly get Sorry to kinda get off track but thing is you need a fresh look to GPB and the track/S is important. I hope the US track is LS, Limerock was sweet but the corkscrew is a challenge anyone into bikes wants to beat. It may seem that way, but I would say..... If you read through all the posts, then there is quite a lot of useful information to be gleaned from it for a developer given the choices in the poll. New tracks seem to lack character, older tracks tend to be more fun, however with it being based on relatively modern gp racing options are limited for official content I should Imagine, but I would like to see tracks that aren't in other games too, which is where the modders come in Into it for me, and why I'm not a big fan of GP tracks being modded, rather play something like croft or castle Combe.